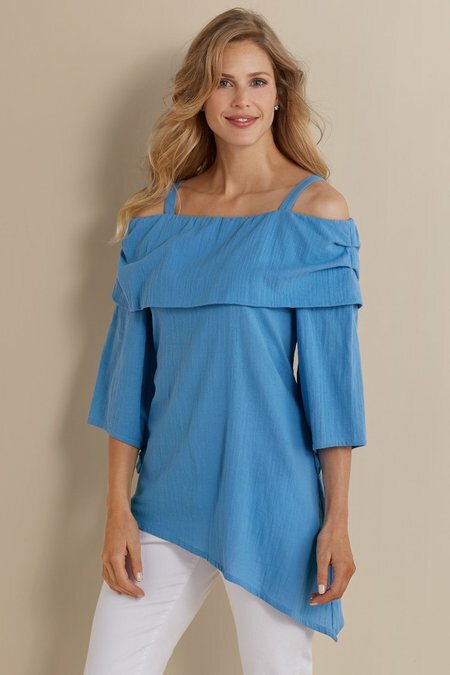 Swingy and splendidly soft, our off-the-shoulder gauze top has a striking tiered layer, shoulder straps and asymmetrical hem. This unique cotton design has 3/4 raglan sleeves. Misses 25"/32" long.